Is there anything better than wrapping your hands around a steaming bowl of soup on a chilly day? Soups and stews are the epitome of comfort food, literally warming us up from the inside out. They are also simple and economical to prepare, and they’re easy to store away for quick lunches or dinners when there’s no time to cook. The recipes are marked with handy icons that tell you at a glance which ones are vegetarian, freezer-friendly, quick and easy, and more. In many cases, Carolyn provides options for multiple cooking methods, including the popular Instant Pot. 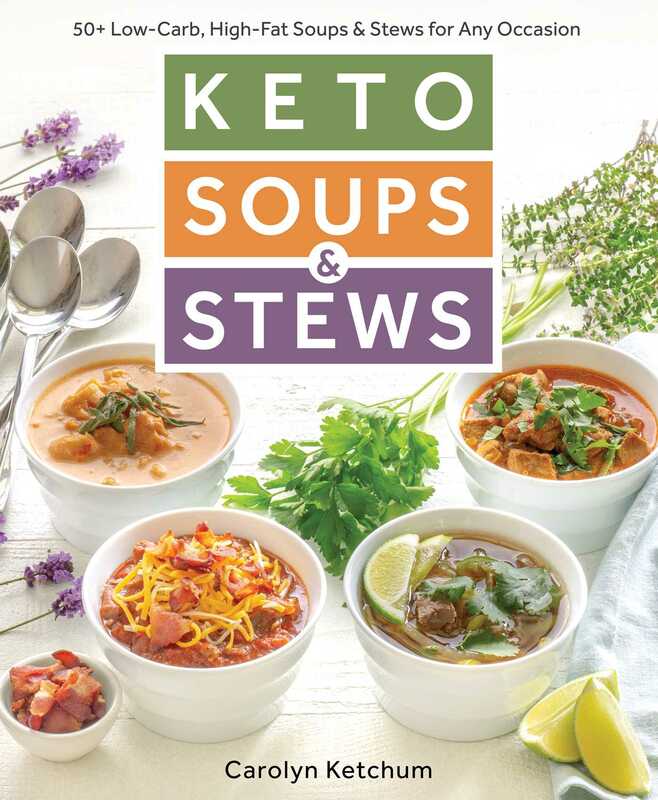 You’ll also find handy tips for stocking your kitchen, making keto swaps for higher-carb ingredients, putting together a good soup or stew, and storing and reheating your creations. So grab a pot, a ladle, and some bowls and get cooking!